Last week we finally got our first snow of the season. We’ve been anxiously awaiting its arrival and when it finally showed, to say we were excited is a complete understatement. Zoie’s first outing into the cold was at 0700 and didn’t stop there. She probably went in and out of the house 100 times that day. Like most kiddo’s her age, it took her longer to get all dressed and ready than the actually time spent outside in the cold. Our day was filled with lots of snowy footprints, snow angels, hot chocolate, and snuggling. 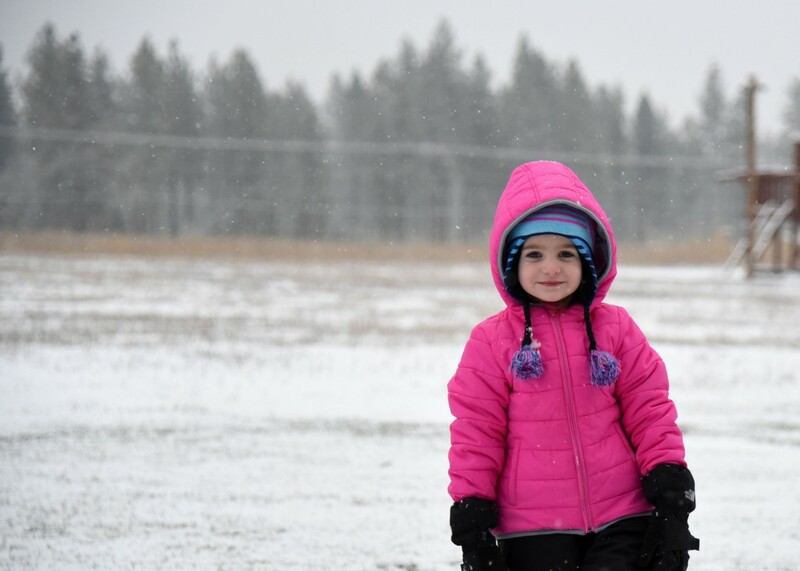 How did you spend your first snow? Unfortunately our little snow didn’t last long and was mostly gone by the next morning. Although, the cold that came the days following allowed us to have fun with this, and it was totally worth it. How sweet! Where we live we tend to get more ice than snow, but when we do get snow it’s so fun! My kids are bigger, but my dogs act like it’s the first time they’ve seen it and they crack me up! I cannot wait for out first snow…we got a ton last winter, but I still love it. It’s been unseasonably warm and I don’t like it. It doesn’t feel Christmasy. I hear ya, not christmasy at all here. That little skiff we did get was gone by that afternoon and it’s been raining since. Looking forward to a real snow. 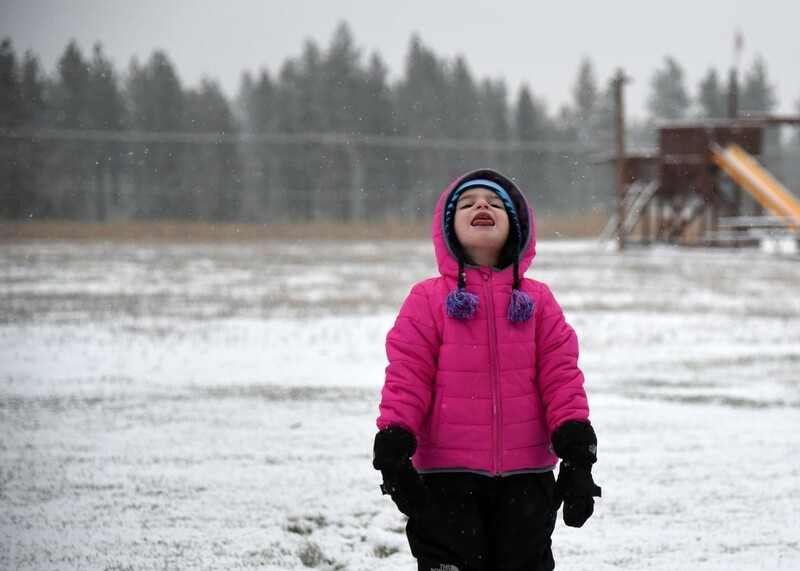 The first snow is always my favorite, my daughter always gets so excited! I love seeing her face light up. We’ve gotten lots of snow already. It snows and then it turns to 70 degree days. I need the snow to fully melt so that I can clean up the backyard from the dogs…er…messes. Happy winter. I live in Australia so never see snow. I would absolutely love it. It looks beautiful.